As many of you know, Ombre hair is a trendy color option these days. It’s all around you, in social media, magazine covers, and on your friends’ hair.The Ombre hair is the most popular hairstyles in town. There is something special in the tips of the hair that keeps this hairstyle at the top of the charts. However, more and more people love to try ombre hair. In this post, we will discuss the reasons why people like to try Ombre hair. 1 What Is Ombre Hair? 1.1 What Are The Reasons To Try Ombre Hair? Ombre means shadow or shading in French. It is a hair color characterized by being darker at the roots and gradually getting lighter towards the tips. Reverse ombre hair is the opposite of that – darker tips and gradually darker roots. 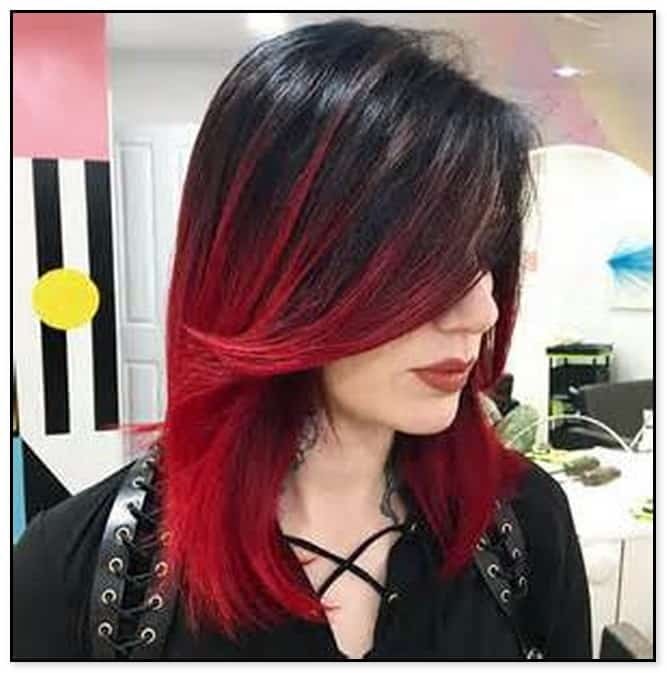 Hair stylish used this term to refer to a style of hair in which the hair color gradually changes from one tone or shade to another tone or shade without a strongly visible boundary in between the two colors. What Are The Reasons To Try Ombre Hair? One of the reasons to love Ombre hair extensions is that it creates a very individual look. The technique may be the same, but it looks different and unique on each person who wears it. Blonde hair takes on sun bright tones, light brown takes on caramel or whatever colors you want to create for your signature look. Whether your hair is wavy, curly or straight, Ombre hair can give you an amazing new look. Firstly, Ombre is a very easy way to grow out your roots. Or, if your hair is dark and you’ve been wanting to go lighter, a big drawback can be – yes, you guessed it – the dark roots that constantly grow out! 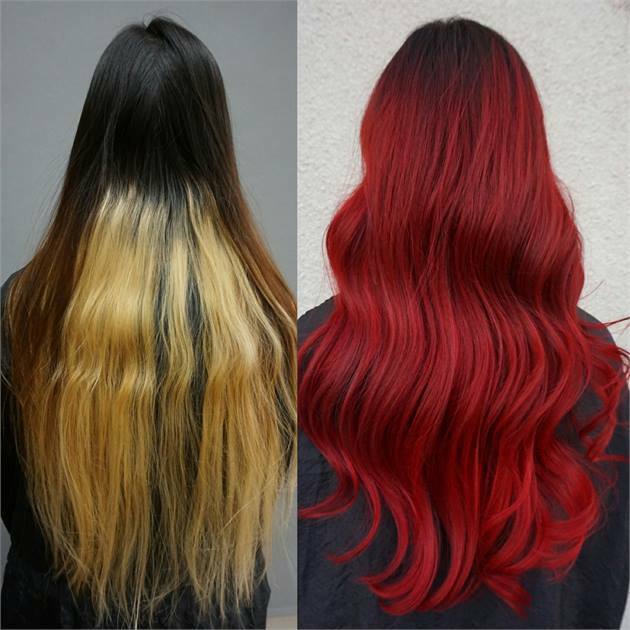 Instead of colouring all of your hair and having to maintain your roots by constant touch-ups, the beauty of Ombre is that you don’t have to worry about your roots AT ALL. Let’em grow out all you want, and your hair will still look fantastic. If the two selected shades complement each other well, the Ombre effect will give more life and dimension to your hair. Especially when creating hairstyles, the Ombre portion will make the details stand out a lot more and make the hairstyle so much prettier. With balayage hair extensions, you can try many different hair colors without dying your own hair. So we can go extremely ashy or extremely warm. It’s really up to you and what you would prefer. We have very soft looks and that’s what we aim for. Balayage is supposed to be very soft and natural, so by adding these different tones of blonde we really tailor it to each and every client individually. Last but not least, you can get the Ombre look without coloring your hair! You can easily achieve the Ombre look within 5 minutes by clipping your hair extensions. You can choose a more subtle blend of the Ombre Chestnut shade. If you are still thinking about having or not having Ombre hairstyle, please go ahead. You will look beautiful as this hairstyle is for everyone. It’s trendy, elegant and fashionable and truly your thing!